Nowadays, everyone prefers to have a living trust because they hate the idea of going through probate. The living trust helps you in giving all your belongings to your inherited ones without any issues. With the help of this, you can safely give your belongings to the one whom you want. You can also hire an estate planning attorney Orange County CA who will guide you well to have a living trust. This is the major reason of having a living trust. Estate planning is highly preferable by the people who want to give their property to their husband or wife or their children after their death. There is also a situation where your inherited ones don’t get to handle your assets. As there are several states that don’t allow minor children to have their own property. So, if you are also having minor children then it is recommended to appoint a guardian who will hold your property till your children reach the age of 18. To create a living trust in California, you can contact the professionals of California, who will familiarize you with all the major steps involved in this procedure. There are also some situations where people worry about their parents living in their own home. So, in this case, you can file an application with the probate court to appoint a guardian for your parents. The property mentioned in your living trust, which you want to transfer after your death, will not go through any probate. Because the trust will let the family members know who will get the property. The people who have jointly owned property also don’t go through the probate as it directly passes to the surviving joint owner. Thus, these are the reasons due to which people feel to have living trust today. This saves your inherited ones from facing any issues after your death and you can also give your belongings to your favourite ones. 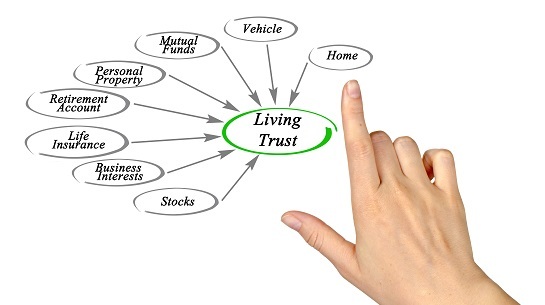 You can also check this useful reference to know more reasons of having a living trust.